More experts line up with Alan Kohler, Standard & Poors, CNBC, Deutsche Bank, and Barack Obama, in agreeing that Barnaby was right. ANZ chief Mike Smith said yesterday that the currency was likely to resume its climb above $US1.10, and one of the world’s leading foreign exchange experts predicted the dollar would continue to rise and could hit $US1.30 in 2013 and $US1.70 by 2014. “I can’t see that there is anything to knock it off its perch because it’s not only the strong Australian dollar, it’s also the weak US dollar,” Mr Smith said yesterday. Dr Savouri, in Sydney for a conference, predicts the dollar will reach $US1.30 by 2013 – and $US1.70 by 2014, as the greenback relinquishes its “exorbitant privilege” as the world’s default currency. What the ‘experts’ aren’t telling you, is that the reason for the Aussie dollar’s rise is directly due to the slow-motion collapse of the US economy, and the unintended consequences caused by those trying to prop it up. For several years, the US Federal Reserve has been creating literally trillions of US dollars out of thin air (“Quantitative Easing” 1 and 2). By doing this, it believes it will achieve two things – (1) Keep interest rates in America extremely low (near zero), preventing further collapse in the housing market and broader economy; (2) pump up the stock market, creating public “confidence”. And it has achieved both those aims. But what about the unintended consequences? First, the immediate effect of printing money is to weaken the American currency. 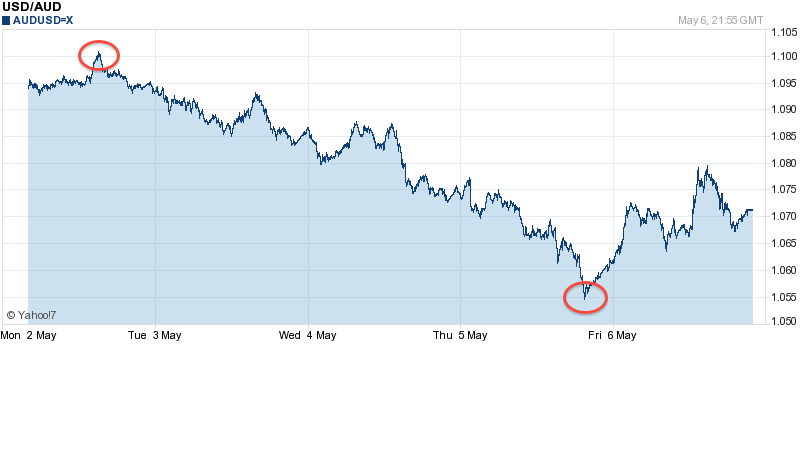 That is the main reason why the Aussie dollar has risen against the USD. It is not because our currency has strengthened. It’s because the USD has been (deliberately) weakened. Much of those trillions in near interest-free US money has been poured into speculation by international banks and hedge funds. What are they speculating on? Mostly on commodities – which our economy sells. Hundreds of billions in “hot money” has been flowing from the Zero-Interest-Rate-Policy (ZIRP) United States into our currency, through speculation on our commodities. Driving up our currency’s apparent strength. When you compare the Aussie dollar to the Euro, for example, it’s easy to see that our dollar only “appears” to be super strong when it is being compared – as usual – only to the ever-weakening USD. Australia is a little cork floating on the ocean of other nations’ economic decisions. As Barnaby forewarned in late 2009 / early 2010, the US is effectively defaulting on its debt right now. Destroying the value of your currency by money printing, has always been the most common way in which nations have defaulted on their debts. It’s taken a while. But the wheels of the locomotive named Inevitability grind relentlessly onwards. 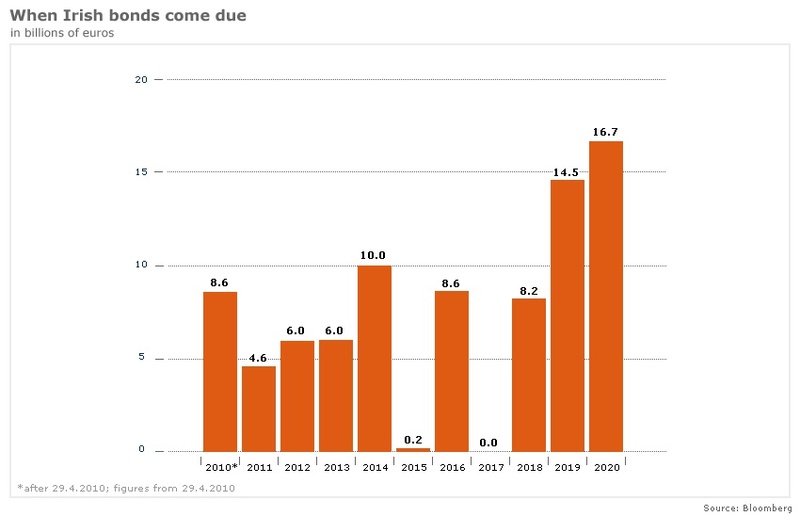 For the first time in history, Standard and Poors has placed the USA’s credit outlook on “negative”, warning that the government must take meaningful steps to reduce debt. Back in October through December 2009, Barnaby Joyce forewarned of the possibility of the US defaulting on its debts. He was roundly mocked and ridiculed by all the usual suspects – mainstream media, “expert” economists, (now former) Treasury Secretary Ken Henry, and the ALP’s band of genii led by “Goose” and Tanner. Now, here we are barely 18 months later. The US credit outlook is being downgraded. It has almost completed a $600 Billion QE 2 (“Quantitative Easing”) – which means creating literally hundreds of billions of dollars out of thin air, Zimbabwe-style. 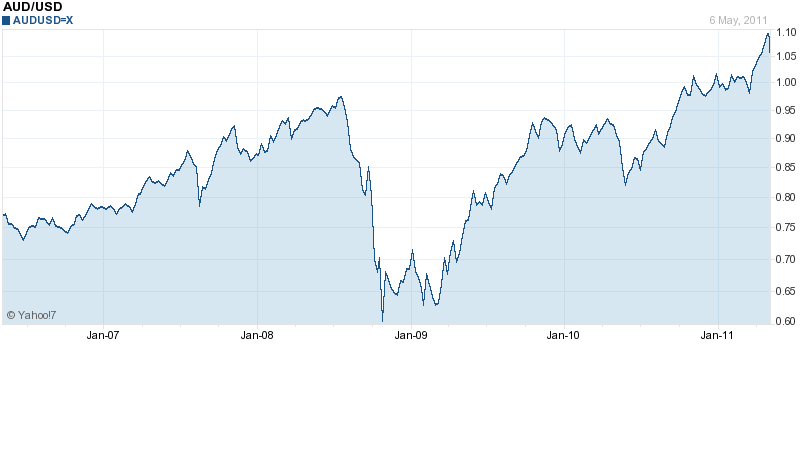 There is every indication that QE 3 will inevitably follow. And the World Bank President warned a few days ago that the world economy is now just “one shock away from a full blown crisis”. Thanks to a hostile and clueless media pack, egged on by the “expert” ridicule of the likes of Henry and “Goose”, Barnaby was blasted out of his brief role as Opposition Finance Minister in early 2010. Despite his being better qualified than the entire ALP cabinet combined. 46 out of 50 US state governments are now technically bankrupt. To understand how bad that is for the global economy – including Australia – consider the fact that California alone has an economy that is larger than that of Russia. California, tied with Illinois for the lowest credit rating of any state, is diverting a rising portion of tax revenue to service debt, Bloomberg Markets magazine reports in its August issue. Far from rebounding, the Golden State, with a $1.8 trillion economy that’s larger than Russia’s, is sinking deeper into its financial funk. And it’s not alone. Even as the U.S. appears to be on the mend — gross domestic product has climbed three straight quarters — finances in Arizona, Illinois, New Jersey, New York and other states show few signs of improvement. Forty-six states face budget shortfalls that add up to $112 billion for the fiscal year ending next June, according to the Center on Budget and Policy Priorities, a Washington research institution. State budget woes are a worsening drag on growth as the federal government tries to wean the economy from two years of extraordinary support. By Jan. 1, funds from the $787 billion federal stimulus bill will dry up. That money from Washington has helped cushion state budgets as tax revenue has plunged. State leaders won’t be able to ride out this cycle the way they have in the past. The budget holes are too large. What will the US do when nearly every state government is facing Greek-style deficits? 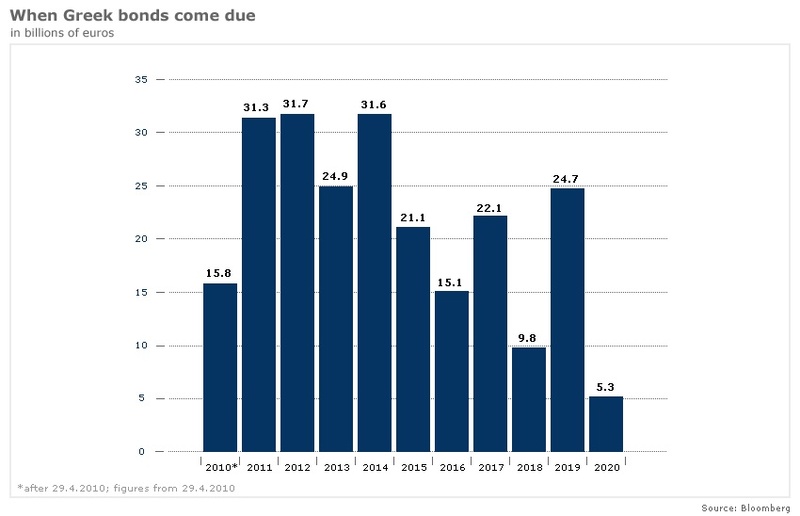 According to an RBS note to its clients, prepare for unprecedented money printing. As recovery starts to stall in the US and Europe with echoes of mid-1931, bond experts are once again dusting off a speech by Ben Bernanke given eight years ago as a freshman governor at the Federal Reserve. “We cannot stress enough how strongly we believe that a cliff-edge may be around the corner, for the global banking system (particularly in Europe) and for the global economy. Think the unthinkable,” he said in a note to investors. Societe Generale’s uber-bear Albert Edwards said the Fed and other central banks will be forced to print more money whatever they now say, given the “stinking fiscal mess” across the developed world. “The response to the coming deflationary maelstrom will be additional money printing that will make the recent QE seem insignificant,” he said. Barnaby Joyce began warning about a bigger GFC in October last year. No one wanted to listen. He was roundly ridiculed by the “experts” – such as the genius academic who designed the controversial RSPT, Treasury secretary Ken Henry – for suggesting the possibility that the USA could default on its massive debts. The simple fact is this. The USA is defaulting on its debts. Printing money (euphemistically called “Quantitative Easing”) is technically a form of sovereign default. When you cannot pay your debts, printing money devalues your currency, and makes it easier to pay back your debts. It also means high inflation. Possibly hyperinflation. Think Weimar Germany in the 1920’s. Or Zimbabwe today. Earlier this week, the Bank of England Governor, Mervyn King, irked US authorities by pointing out that even the world’s economic superpower has a major fiscal problem –“even the United States, the world’s largest economy, has a very large fiscal deficit” were his words. They were rather vague, but by happy coincidence the International Monetary Fund has chosen to flesh out the issue today. Unfortunately this is a rather long post with a few chunky tables, but it is worth spending a bit of time with – the IMF analysis is fascinating. Its cross-country Fiscal Monitor is not easy reading and is a VERY big pdf (17mb), so I’ve collected a few of the key points. The idea behind the document is to set out how much different countries around the world need to cut their deficits by in the next few years, and the bottom line is it’s going to be big and hard (ie 8.7pc of GDP in deficit cuts around the world, which works out at, gulp, about $4 trillion). But the really interesting stuff is the detail, and what leaps out again and again is how much of a hill the US has to climb. Exhibit a is the fact that under the Obama administration’s current fiscal plans, the national debt in the US (on a gross basis) will climb to above 100pc of GDP by 2015 – a far steeper increase than almost any other country. Another issue is that, according to the IMF, the cost of extra healthcare and pensions will increase by a further 5.8pc over the next 20 years. This is the biggest increase of any other country in the G20 apart from Russia, and comes despite America having far more favourable demographics. But level of debt isn’t the only problem. Then there’s the fact that the US has a far shorter maturity of government debt than most other countries, meaning that even if it weren’t borrowing any extra cash it would have to issue a large chunk of new stuff each year as things are. Read the entire article (including IMF charts) here. Here are some simple charts that demonstrate why anything and everything that the EU, ECB and/or the IMF can do now, is simply to delay the inevitable disintegration of the Eurozone. Could the Eurozone go bankrupt? One of Germany’s leading newspapers believes so. 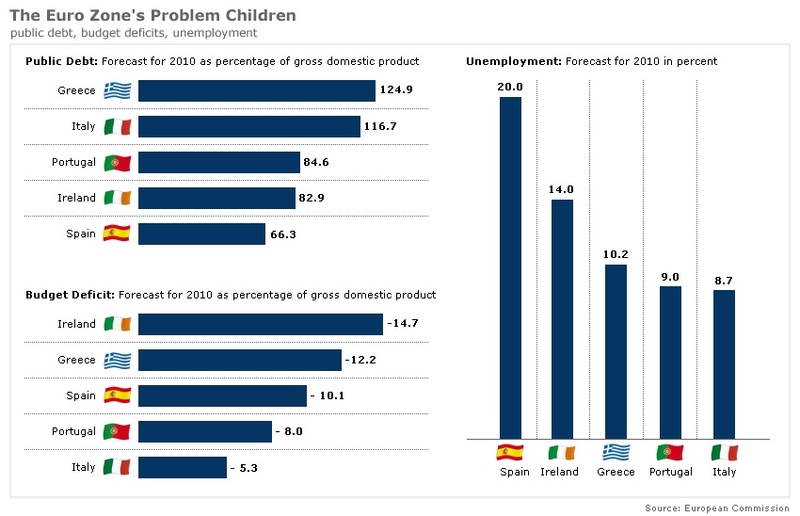 Greece is only the beginning. The world’s leading economies have long lived beyond their means, and the financial crisis caused government debt to swell dramatically. Now the bill is coming due, but not all countries will be able to pay it. 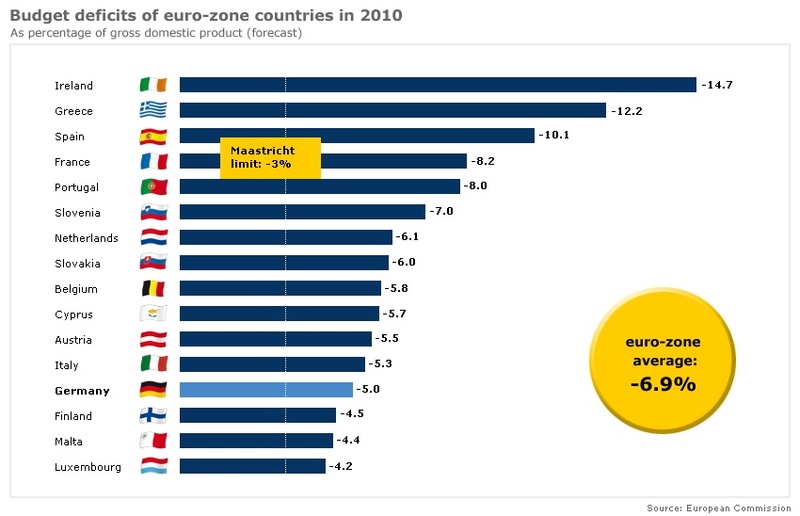 The euro zone is pinning its hopes on (IMF negotiator) Thomsen and his team. His goal is to achieve what Europe’s politicians are not confident they can do on their own, namely to bring discipline to a country that, through manipulation and financial inefficiency, has plunged the European single currency into its worst-ever crisis. If the emergency surgery isn’t successful, there will be much more at stake than the fate of the euro. Indeed, Europe could begin to erode politically as a result. The historic project of a united continent, promoted by an entire generation of politicians, could suffer irreparable damage, and European integration would suffer a serious setback — perhaps even permanently. And the global financial world would be faced with a new Lehman Brothers, the American investment bank that collapsed in September 2008, taking the global economy to the brink of the abyss. It was only through massive government bailout packages that a collapse of the entire financial system was averted at the time. A similar scenario could unfold once again, except that this time it would be happening at a higher level, on the meta-level of exorbitant government debt. This fear has had Europe’s politicians worried for weeks, but their crisis management efforts have failed. For months, they have been unable to contain the Greek crisis. 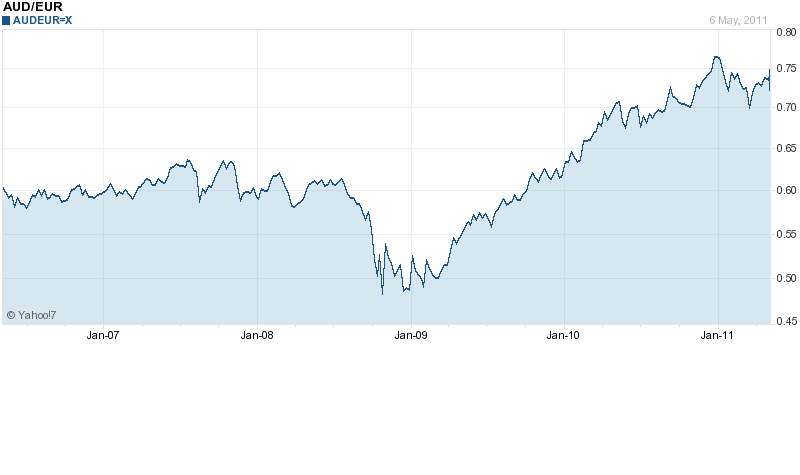 There are, in fact, striking similarities to the Lehman bankruptcy. This isn’t exactly surprising. The financial crisis isn’t over by a long shot, but has only entered a new phase. Today, the world is no longer threatened by the debts of banks but by the debts of governments, including debts which were run up rescuing banks just a year ago. The banking crisis has turned into a crisis of entire nations, and the subprime mortgage bubble into a government debt bubble. This is why precisely the same questions are being asked today, now that entire countries are at risk of collapse, as were being asked in the fall of 2008 when the banks were on the brink: How can the calamity be prevented without laying the ground for an even bigger disaster? Can a crisis based on debt be solved with even more debt? And who will actually rescue the rescuers in the end, the ones who overreached? So, the GFC is ‘over’, is it Ken? Following close on the heels of the extraordinary revelation by Ben Bernanke that the US Federal Reserve has printed $1.3 Trillion out of thin air to buy toxic Mortgage Backed Securities and prop up the US economy, now the European Central Bank may have to invoke emergency powers in order to engage in massive money printing to prop up the collapsing European bond markets. 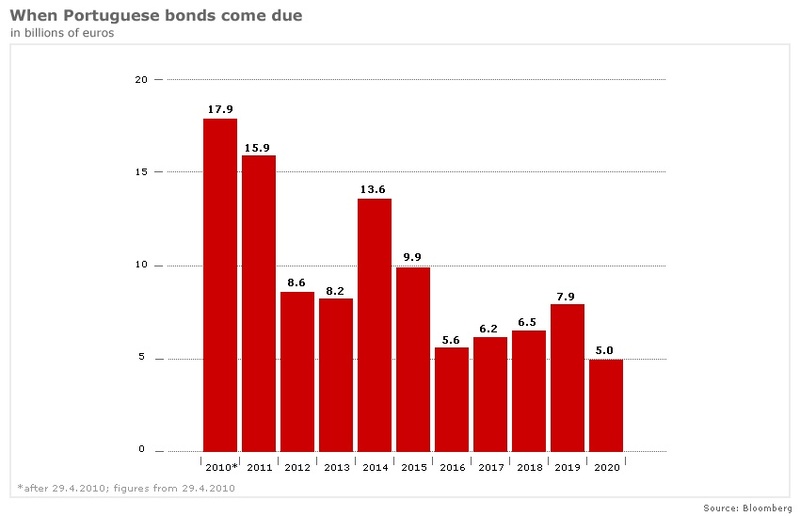 The European Central Bank may soon have to invoke emergency powers to prevent the disintegration of southern European bond markets, with ominous signs of investor flight from Spain and Italy. 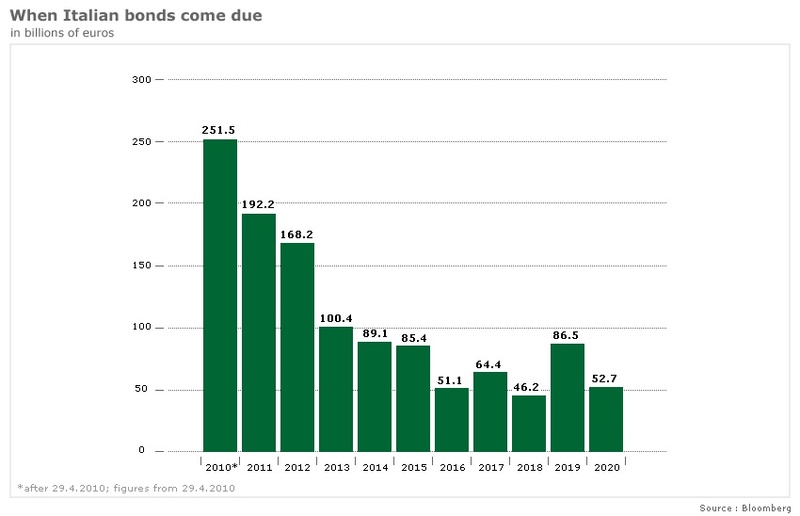 “We have gone past the point of no return,” said Jacques Cailloux, chief Europe economist at the Royal Bank of Scotland.“There is a complete loss of confidence. 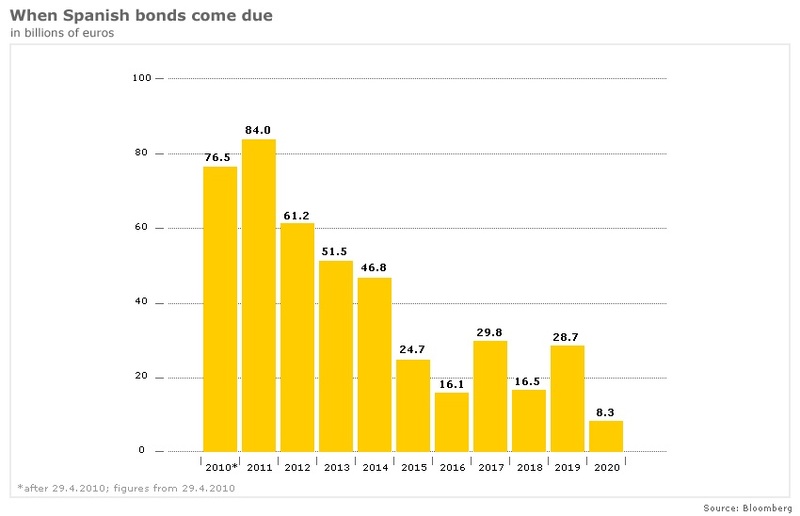 The bond markets are in disintegration and it is getting worse every day. Mr Cailloux said the ECB should resort to its “nuclear option” of intervening directly in the markets to purchase government bonds. 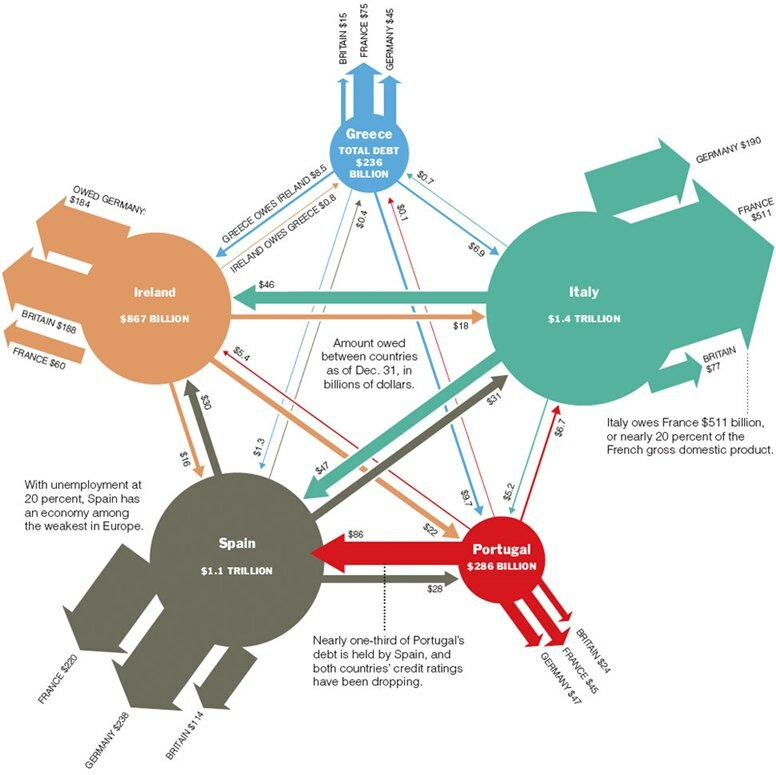 This is prohibited in normal times under the EU Treaties but the bank can buy a wide range of assets under its “structural operations” mandate in times of systemic crisis, theoretically in unlimited quantities. 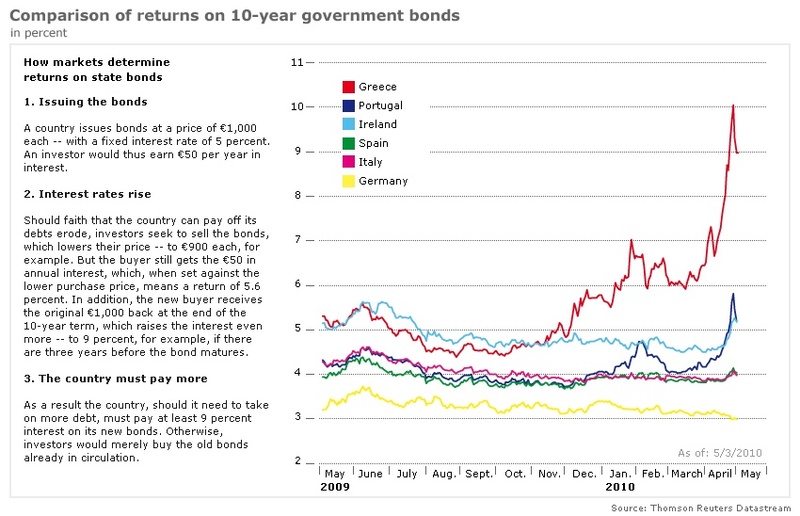 The issue of the ECB buying bonds is a political minefield. Any such action would inevitably be viewed in Germany as a form of printing money to bail out Club Med debtors, and the start of a slippery slope towards in an “inflation union”. But the ECB may no longer have any choice. There is a growing view that nothing short of a monetary blitz — or “shock and awe” on the bonds markets — can halt the spiral under way.